Air France and British Airways announced Thursday that they will halt flights to Tehran next month, citing low profitability as the US reimposes sanctions on Iran. Air France, which had run connections to the Iranian capital via its low-cost operator Joon, said it would axe the route on September 18, blaming "poor commercial viability". 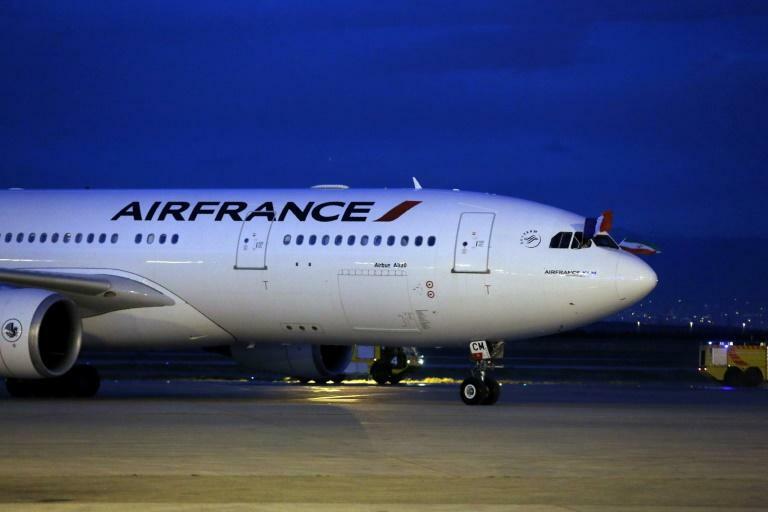 The French carrier had already cut down on its Paris to Tehran connections from three a week to just one earlier this month, its communications service said. British Airways also announced Thursday that it was scrapping its London to Tehran service as it was "currently not commercially viable". The last outbound flight to Tehran will be on September 22, and the last inbound flight from Tehran will be on September 23, the British flag carrier added. British Airways said its decision was unrelated to US President Donald Trump's imposition of new sanctions on Iran, which has prompted many foreign businesses to pull out of the country. Dutch airline KLM -- part of the same group as Air France -- said last month that it was also suspending Tehran flights due to "negative results and financial outlook". The airline said it was in discussions with partner airlines to offer customers rebooking options, or would offer full refunds. Israeli Prime Minister Benjamin Netanyahu hailed the decision by British Airways, KLM and Air France to cease flights to Tehran. "That's good. More should follow, more will follow, because Iran should not be rewarded for its aggression in the region, for its attempt to spread terrorism," Netanyahu told reporters in Lithuania's capital Vilnius. Air France had resumed links to Tehran in April 2016 after the signing of a hard-fought deal between Iran and international powers offering sanctions relief in exchange for guarantees that the Islamic Republic would not pursue nuclear weapons. Lufthansa and Alitalia are among European companies still running flights to Iran despite the US announcement. The United States said in May that it was abandoning the 2015 nuclear deal and reimposing sanctions on Tehran in two phases in August and November. The other parties to the nuclear deal -- Britain, France, Germany, China and Russia -- have vowed to stay in the accord, but their companies risk huge US penalties if they keep doing business in Iran. French companies were among those most eager to seize business opportunities in the Islamic Republic following the 2015 deal. On Monday French oil giant Total announced that it had officially quit its multi-billion-dollar gas project in the country. It was the latest in a string of major international companies to pull out, including German carmaker Daimler, Deutsche Telekom and Deutsche Bahn.